Each watch measures time, but some watches are truly timeless. Whether you wear your watch as a fashion statement or you’re one of the few folks who doesn’t use their smartphone to tell time, your watch is a valuable accessory. Unless it’s a wind-up, your watch is only as effective as the battery inside it. When it’s time to replace the battery in your priceless timepiece, My Jewelry Repair is your source for top-quality watch battery replacement and installation services. Watch Battery Replacement: Don’t Try This at Home! Industry professionals warn against servicing a watch yourself beyond giving it a wipe down. Even replacing something that sounds as simple as a watch battery needs to be left to certified technicians. 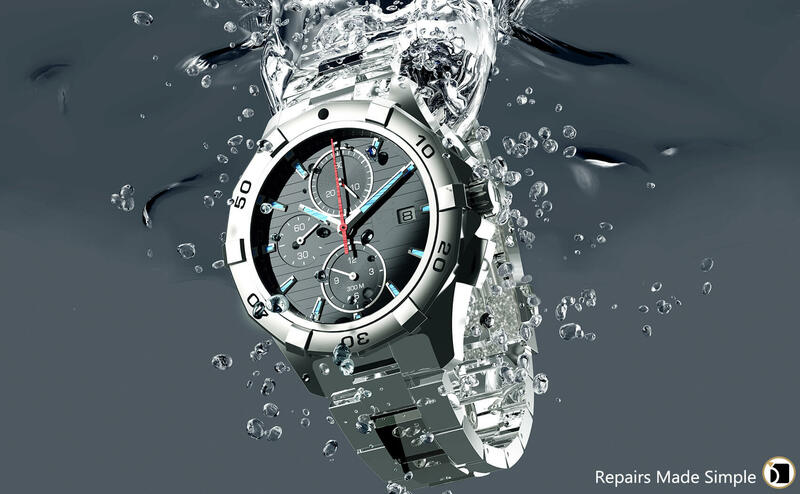 Even the most minor repairs pose a potential risk of damaging the watch itself. My Jewelry Repair works on a lot of projects with an amazing amount of moving parts. For this reason our watch repair center is a sterile and controlled environment. Our certified watchmakers wear lab coats in our facilities, all in the pursuit of offering superior watch and jewelry repairs to our customers. One of the most common mistakes that non-certified watchmakers do when they replace the battery is that they fail to ensure that the case is sealed properly afterward... and thus the watch is no longer Water Resistant! This has lead to some nightmare scenarios, where many owners of fine watches have their timepieces receive heavy water damage from situations that they were previously ok in. This nightmare scenario is very avoidable, and for every battery replacement, when a Certified Watchmaker performs a Water Pressurization Test. This is why our facilities have top of the line equipment, and why the Pressurization Test comes Standard with every Battery Replacement performed by the watchmakers at MyJewelryRepair.com. Just because you need to fix your watch, it shouldn’t take valuable time out of your day. We have the knowledge, the ability and the tools to properly open your watch, test the current battery, and install a new cell that will have it working at optimum capacity again with a quick turnaround. We have diagnostic machines that let us know if there’s anything wrong with your watch. We inspect the battery, the watch coil, quartz crystals, and also mechanical movements, staying ahead of any potential issues. We repair antique watches (even watches from the early 1900s) using original parts whenever possible. Just like with newer car models, replacement parts for newer mechanical watches are easier to find. With antique watches, we either find the original part or make it from scratch for our customers. No matter how much it cost, your watch deserves respect. A part of that is knowing what to do when the time comes for repair and watch battery replacement. The answer is MyJewelryRepair.com. All you have to do is follow our easy instructions online and your watch and jewelry will be good as new through our convenient, reliable online mail-in service.